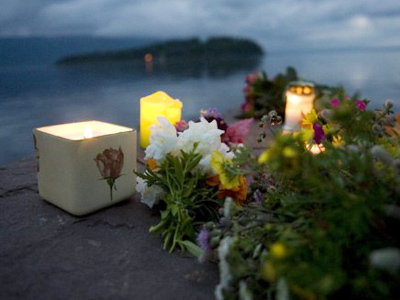 The worst massacre ever committed by a single individual, carried out by a member of Norway’s political right, points to a dangerous undercurrent of hostility against the left’s platform, which is committed to open borders and multiculturalism. ­Although even the most committed right-leaning Europeans would never sympathize with the horrific actions undertaken by Anders Behring Breivik – the 32-year-old killer who somehow imagined he was reviving the legacy of the Knights Templar by slaughtering kids at summer camp – their political values – less immigration, less diversity, less multiculturalism – are not oceans apart. 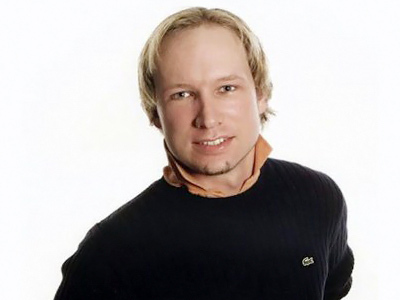 "One of the most widespread manifestations of the craziness of our world is multiculturalism," Breivik wrote in his rambling 1,500 page manifesto. Elsewhere, he mentioned the “ghettofication” process happening across Europe, where immigrants are allegedly failing to assimilate in their host nations. Such sentiments, once reserved for hushed kitchen talk, are increasingly solidifying into parliamentary seats for an increasing number of right-wing parties in Europe. In the Netherlands, for example, the eccentric Geert Wilders has successfully cashed in his political chips on “Islamophobia,” winning 24 seats in the Dutch parliament for his “Party for Freedom,” which is now the country’s third largest political party. In 2007, Wilders released a highly controversial 17-minute film, entitled Fitna, which attempted to make the point that the Koran incites its followers to acts of violence. Another country where the spirit of multiculturalism seems to be falling out of grace is Denmark, which recently shocked Brussels by suspending the Schengen Treaty and re-introducing border controls with Germany and Sweden. The success of pushing through this tough legislation was partially due to the Danish People’s Party (Dansk Folkeparti), which has seen its political fortunes rise by embracing an anti-immigration platform. Meanwhile, the True Finns, yet another anti-immigration party, shook up Finland’s political landscape when it grabbed 19.1% of the votes in the 2011 parliamentary elections, becoming the third largest political party in the Finnish Parliament. 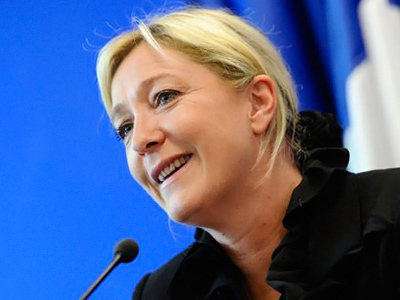 And who could forget France's National Front (NF), which seems to have been energized by the tough-talking Marine Le Pen, who took over the leadership of the party from her father, Jean-Marie Le Pen, in January. A recent poll by the daily newspaper Le Parisien indicates that Ms. Le Pen would attract 23% of the vote, compared to 21% for the incumbent President Nicolas Sarkozy. 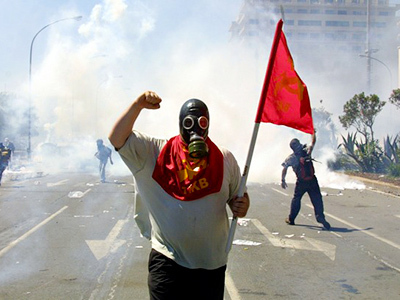 While the issues of open borders and loose immigration has long haunted European politics, some observers point to the aftereffects of the global financial crisis, together with the painful “austerity measures” being forced upon people who were quite comfortable with their generous social safety programs, as reasons for the sudden interest in right-wing programs. There is also great concern in many European capitals, especially those that border the Mediterranean Sea, over the influx of people seeking shelter from the still-simmering “Arab Spring,” which saw a mass exodus of refugees flooding the continent. In February, at the height of Tunisia’s social unrest, Italy declared a state of emergency over an influx of some 5,000 refugees. Maurizio Massari, a foreign ministry spokesman, said: "The influx of illegal immigrants from Tunisia needs to be dealt with the utmost urgency for national security. 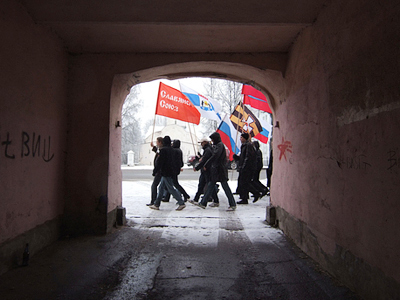 Russia is no stranger to racial tensions. While ethnic Russians make up about four-fifths of the country’s total population of 142 million, the country is also home to about 180 ethnic groups. In December, the area around the Kremlin became the unlikely scene of a massive riot as ethnic Russians fought against North Caucasus natives. The fact that the rampage took place among football fans does not mean that there were no underlying racial factors involved in the incident. After all, as in Europe, ultranationalist groups and football fan clubs are two communities that are known to overlap. 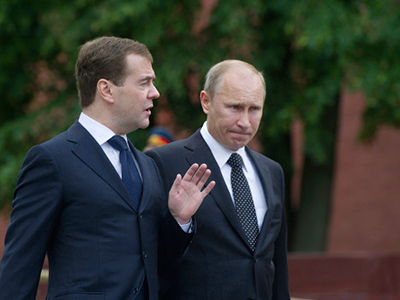 Russia may establish a governmental agency to supervise the problem of interethnic tensions, Prime Minister Vladimir Putin told a meeting of religious leaders on Tuesday. “I think in the nearest future, we will establish a special governmental structure which will study these kinds of problems,” Putin said. A multicultural and multinational Russia cannot afford to have ethnic tensions, he observed, calling on all Russian citizens to be tolerant and respectful towards each other. “All migrants should be protected by the law and by public morals. But at the same time, all citizens must respect each other, and when someone moves to a different territory, he must respect the culture, the language, and the habits of the people he has come to live with,” the PM said. Putin’s meeting with Russia’s Orthodox, Muslim, Jewish, and Buddhist leaders was held to discuss interfaith and interethnic issues. Meanwhile, the more traditional European political parties, which their detractors say promote the welfare of immigrants at the expense of the “native” population, are being forced to speak out against the perceived drawbacks of globalization and multiculturalism. Merkel told a gathering of the conservative Christian Democratic Union (CDU) party that at "the beginning of the 60s, our country called the foreign workers to come to Germany and now they live in our country." She added: "We kidded ourselves a while, we said: 'They won't stay, sometime they will be gone', but this isn't reality." Today, there are certainly individuals in Norway who would agree with the German Chancellor.